So for the entire duration of the special offer a Made for You Makie kept calling out to me...I kept on resisting as not only had I bought Juniper, but I had also ordered Tane and Fred....but a couple of hours before midnight - or maybe even closer on 4th May it happened....she hopped into my basket and went through check out. Well she arrived yesterday and although I haven't had much time to do anything with her due to rotten head today I have taken a couple of photos. 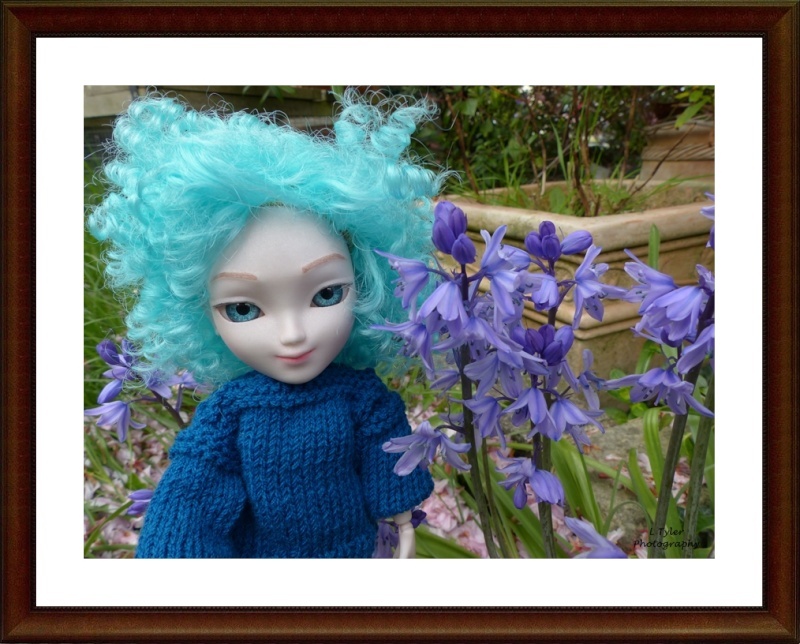 Meet Penelope Bluebell - she whispered her name to me while I was out taking the photographs! Aw! She looks great up next to the flowers! 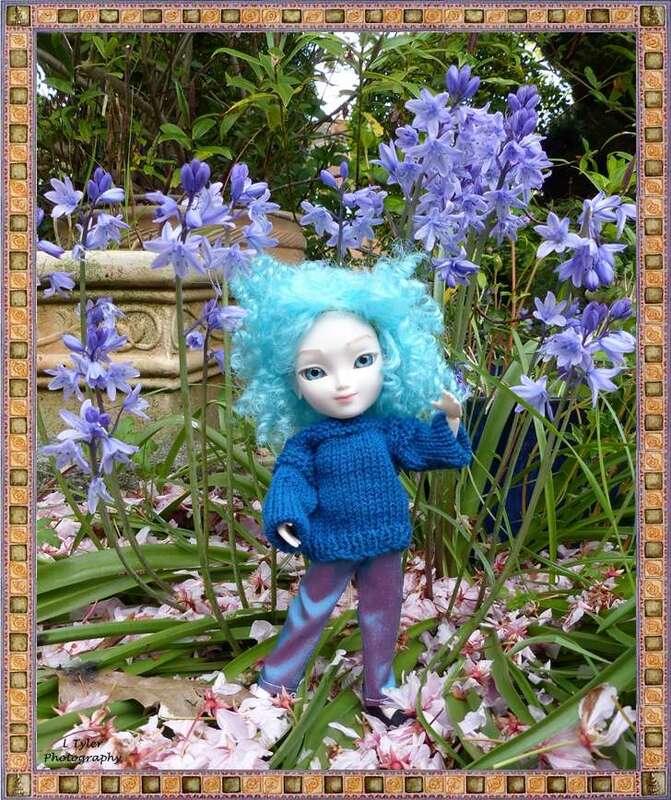 She does suit the flowers really well - also her trousers are seriously cool! Is she undyed or strawberry milk? Aww, she's got such a sweet face and looks so happy to have you photographing with her. nattherat wrote: She does suit the flowers really well - also her trousers are seriously cool! Thanks I found a tiny piece of fabric to make her trousers - wish I had more of it! She's so cute, I love her hair.